Are you finding it hard to process mathematics every time you try to solve complicated equation or integral? You might need a smart assistant with your mathematic solving. Don you worry anymore! With the advance technology, you will be able to solve those equations in just seconds. Get a top scientific calculator which is very smart that can assist you every time you need. 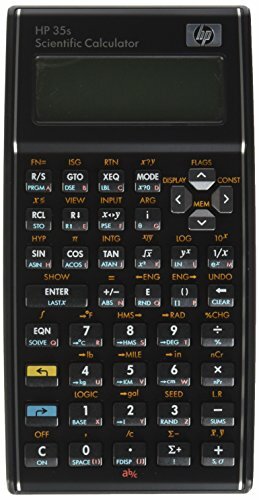 Here are the top 10 best scientific calculator in 2019 you might be looking for. Get the advance technology from Texas. It is a kind of calculator which is ideal for curricula in which graphing technology may not be permitted. It is best for solving complicated equation with MultiViewTM display that shows multiple calculations at the same time. You will feel like you are writing the number on a piece of paper. Every expression and symbol are shown clearly and practical. It is ideal for high school students for all of numerical subjects. As we know that the Texas Instrument is the leading manufacturer producing the high-tech calculator, now it has introduced another design with new look. You can feel the real number on the screen as it shows four-line display. It also can solve one and two variable statistics, fraction/decimal conversion and step-by-step fraction simplification. It also has the MathPrintTM feature. You will be able to cut, edit and paste the entries effortless. Moreover, it is energy-saving as it uses solar power to operate. 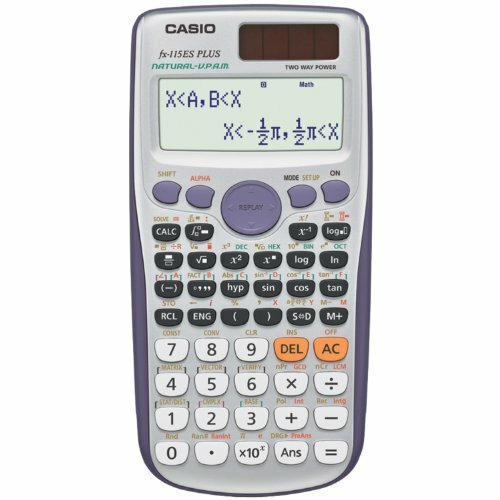 Another amazing high-tech calculator you need for solving complex equation is this Casio. Its speciality is that it displays the textbook-like screen. All the expressions and results will be shown exactly like what it is in the textbook. 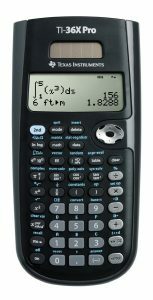 It has over 280 functions including fractions, statistics, complex number calculations, based arithmetic, linear regression, standard deviation, computer science and polar-rectangular conversions. Moreover, it has the multi-replaying function that allows you to backtrack the calculation one by one without having to delete the whole process making adjust to wherever you wish to. Now let’s meet one of the best-seller of calculator introduced by Texas Instrument. It is the best-selling because it has the most special feature of graphing. This calculator can handle the most complicated tasks such as calculus, engineering, trigonometric and financial functions. The clear 64 x 96-pixel resolution offers the readable display no matter where you are. The built in memory is so strong that it can store and analyse of up to 10 matrices. 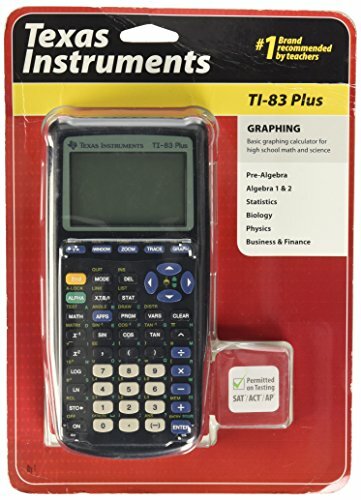 Another top-quality product from Texas is this series of TI-30X IIS. It is the robust, professional grade scientific calculator with 2-line display that shows the entry and calculated at the same time. Moreover, it is available in many colour choices. With this, 1 and 2 variable statistical calculations and three angle modes are easily handled. You can also make conversion as well. it is recommended for high-school students and is one the best-selling product as well. If you are looking for economical scientific calculator that can solve the complicated equation easily, you can refer to HP 35s. It is so robust and economical with 100+ built-in functions, 30 KB memory with 800+ registers. This kind of calculator supports RPN and algebraic data entry. It supports RPN and algebraic data entry. The display supports 2-line and 14 character on the screen. Get it now and enjoy with your studying. Are you an accountant or cashier? You might need a professional financial calculator with built-in financial functions and statistics. It is featured with the use of reverse polish notation (RPN). It has more than 120 built-in functions, including register-based cash-flow analysis. The display can show up to 10 characters with 1-line LCD display. 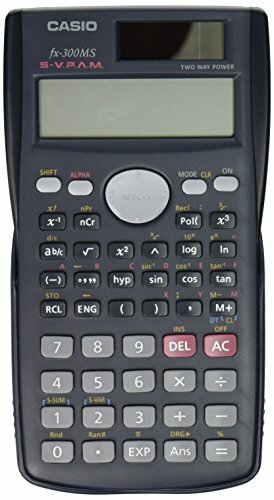 It is hard to process the number vie phone or computer when you are in hurry so this calculator is the best as it offers slim design and high performance. 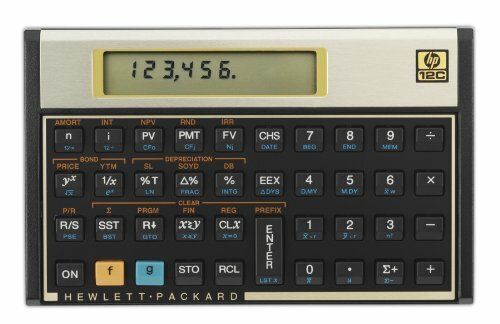 Another high-tech calculator from HP with display upgrade. It is featured with 50g display that features 30% increase in usable space over the HP 49g+. Moreover, you can expend the storage with new powerful SD card slot. The high RAM can effectively boost up the performance. Moreover, this calculator is special that it has new larger equation library and 2300+ built-in functions that are ideal for both professionals and students. Casio is the number 1 brand of calculator in Japan. Its calculator contains 2-line display with 240 functions to solve. The multi-replay function is also featured to clear the mistakes very easily when you make mistake. It comes with slide-on hard case with 9 variable memories. The RAM and processor perform the task satisfactorily. Get yourself the best companion of study with Casio fx-300MS. You might need to process the number and make the graphic out of it with Texas Instruments TI-84. 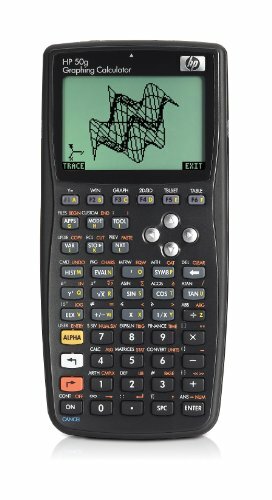 Get the most advanced large LCD display for plotting out graphs and equations, up to 10 rectangular functions, 6 parametric expressions, 6 polar expressions and 3 recursively-defined sequences. Moreover, this calculator can transfer the data into computer when you want to do report etc. You can install some applications that are compatible with it such as Inequality Graphing, Learning Check and so on. Wow! It is so amazing! Why wait?